The most feasible and controllable extension is .COM, you may get it in lowest price from us. Why you should register your webname by us? Just chose your domain and place an order we will instantly make that generic ID yours. We guarantee and even bet on this so first compare our services with market then buy. 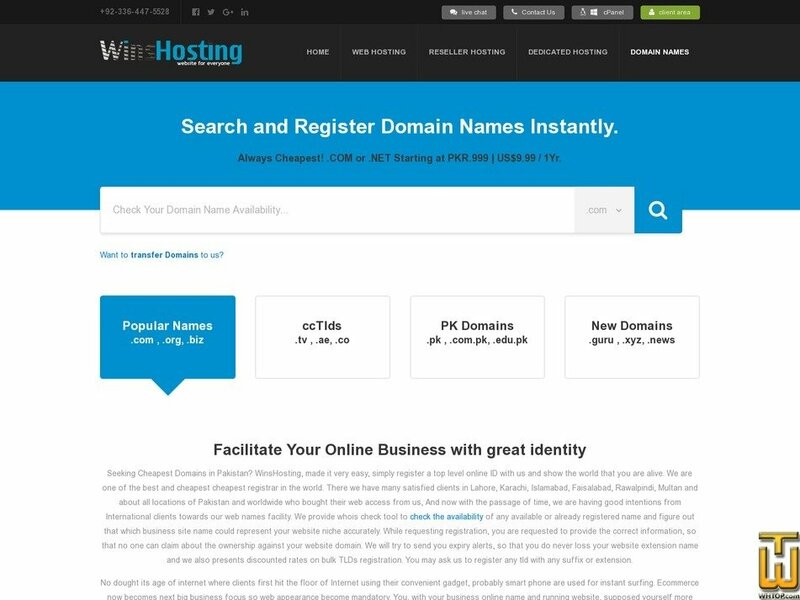 After registering domain with WinsHosting, it’s all yours, you may check whois details for confirmation. You can redirect your domain, create custom name server or any thing regarding name systems. Pricing is valid for Domain Registrations, Domain Transfers and Domain Renewals. Price: $ 12.00/yr. VAT 16% exc.